Traffic on the internet is fast becoming dominated by mobile devices. Less people are buying desktop computers, preferring phones and tablets as their primary window into the online world. In fact, 25% of the world is mobile only and that figure is sure to keep rising. It seems that our very brains are adjusting to this new method of information delivery. Microsoft surveyed 2,000 participants and studied the brain activity of 112 others. They found that since the year 2000 the average attention span dropped from 12 seconds to 8 seconds. Thats 1 second less than a goldfish. For businesses, creating a presence online that understands and engages with users, is only going to become more crucial. To help, we’ve compiled a few emerging trends that you could consider when you create not only websites, but indeed any piece of digital content. Microinteractions are subtle moments centered around accomplishing a single task. Ever noticed those small animations that occur when you add an item to a shopping cart, or perhaps the change in colour when you hover over a button. Those are microinteractions. Move your mouse over our link bar on the top of our website, yup, that's a microinteraction too. These almost unnoticeable moments add up to create a more enhanced user experience, and to make websites feel less cold and more human. Microinteractions follow the same pattern. Remember when we discussed attention spans? Businesses have realised that their users are more concerned with getting to the content they are looking for, rather than being distracted by anything else. This has driven a trend on functional digital experiences that strip away everything unimportant, getting users to content faster. Essentially, personalisation is tailoring content to more effectively meet a user’s needs and providing experiences that feel more personal. Leveraging data and user behaviour has made it possible to not only target a group but an individual. Spotify uses personalisation to great effect when they craft their digital products. Using your listening history, they can recommend songs and artists that you haven't listened to yet. 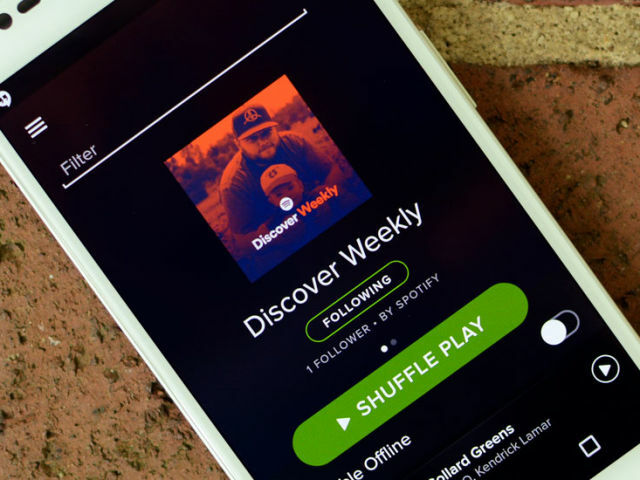 Their Discover Weekly feature gives you an entire personalised playlist each week — even including your profile image — to create an experience unique to you. Data is making many things possible in the personalisation space. But there are some important things to consider. Knowing your users should always be central to creating more personalised digital experiences. Use personalisation to add value to their experience, not just because you think its cool to do. Research. Test. Refine. Never assume. Personalisation can be intrusive if not used correctly. Ad tracking is a good example of this. Don’t get too personal either, you might come off looking creepy. Looking at these trends, these websites and examples; there is one unifying element: A deep empathy with your audience and users. Never rest on assumptions, never think 'I know whats best'. Always ask, always inquire, always understand those you are designing for.